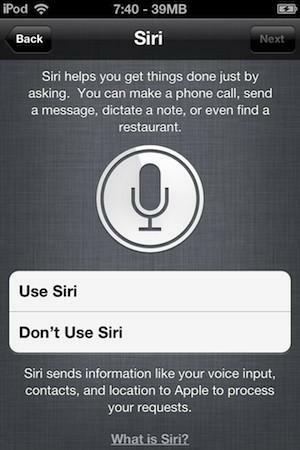 Earlier we reported that Siri, a new feature that lets you use your voice to send messages, schedule meetings, place phone calls, and more, has successfully been ported to iPhone 4 and iPad and today we have got some interesting news for iPod Touch users. Two new iOS hackers @euwars and @rud0lf77 has successfully ported Siri to iPod Touch 4G. The hackers couldn't get Siri connected with Apple servers but its a good achievement anyway. Check out the video below that shows Siri running on iPod Touch 4G. 0 Respones to "Siri Ported to iPod Touch [Video]"